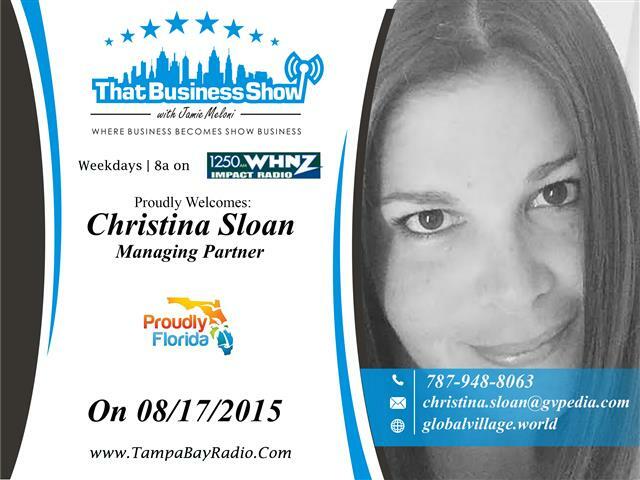 Starting off this Monday at 8am, #ThatBusinessShow on 1250WHNZ had some quite interesting and creative guests. As usual, you can tune into the show every weekday on http://www.tampabayradio.com or check out my YouTube channel at http://www.youtube.com/jamiemeloni. Joining me to begin the show were Ashley Novak and Christina Sloan with Proudly Florida, the umbrella brand for a multi city publication in the state of Florida dedicated to showcasing industries around the state in cities such as Tampa, Miami, Ft. Lauderdale, Jacksonville, Orlando, Tallahassee and more. Proudly Florida can be found along with their parent company, Global Village on http://globalvillage.world; and on Twitter @proudlyflorida. Along with their parent company, proudly Florida works to showcase the best of the best in cities and nations all over the world, with proudly Florida focusing (at the moment) on the Tampa bay area, connecting and interacting with the local community to find out what’s what in the city of Tampa. Christina Sloan, born in San Juan, Puerto Rico; attended the University of Tampa and made Florida her home. After working in the healthcare field and the non-profit sector for over a decade, she became involved with Global Village. Working with Ashley Novak for a year, they figured that combining their skills would be a great opportunity, and would use that opportunity to bring the “Best of” series into the US. Ashley Novak was born in Annapolis, MD and came to Tampa in 2005 to attend the University of Tampa and also made Tampa her home. Meeting Christina at a previous workplace, together they teamed up to make Proudly Florida a success. You can contact them at Ashley.novak@gvpedia.com and Christina.sloan@gvpedia.com. 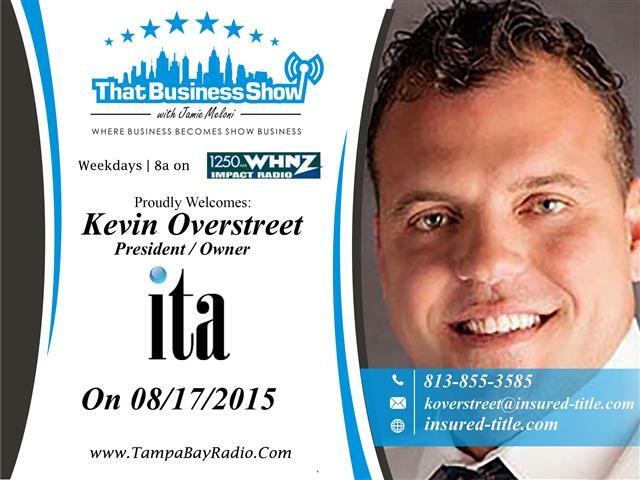 The second half of the show featured Kevin Overstreet and Robert Callahan from Insured Title Agency. For nearly 10 years, they’ve worked in the Tampa Bay area to protect customers and their homes. They spoke to me about some of their experiences as a dedicated title company, and about fraudulent transactions. They gave our listeners some new information on how mortgages are going to change quite soon. Kevin and Robert wanted our listeners to see their title company as a resource in all stages of purchasing a home. As discussed in the show, they recommend that anyone applying for a mortgage should apply before October 3rd, tune into the show to find out why! On September 3rd, they have an informational session on that subject at the Odessa Hilton. You can contact them with any questions at koverstreet@insured-title.com and robert@insured-title.com or visit their website, https://www.insured-title.com for more information. They can also be found on twitter, @insuredtitle. Remember that if you missed the 8am show, you can tune in on demand at http://www.tampabayradiocom or on my YouTube channel http://www.youtube.com/jamiemeloni. 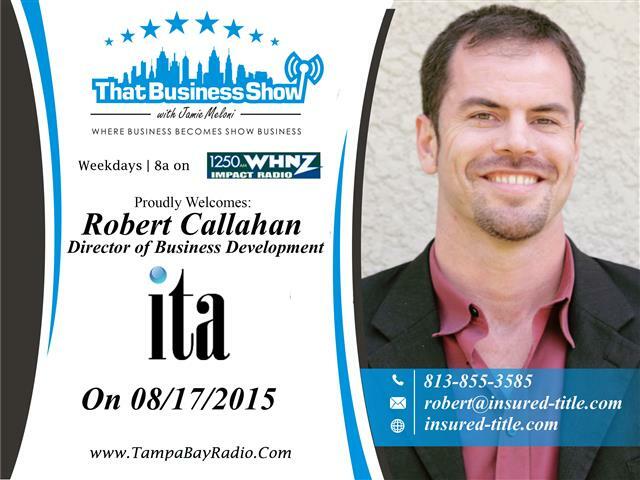 Jamie Meloni with #ThatBusinessShow on 1250WHNZ every weekday at 8am! This entry was posted in Entrepreneurship and Business and tagged business, entrepreneur, foreclosures, proudly florida, real estate, title insurance. Bookmark the permalink.